I love Christmas movies. I am a sucker for the romantic stories. Each year, I look forward to watching some of my old favorite ones that I have listed below, as well, as the new 2017 Hallmark movies. I have to say that I have been a little disappointed this year with the new ones. Anyone else feel the same way? Shopaholic Crystal's wealthy parents give her an ultimatum - change her irresponsible ways by Christmas or they will cut her off without a cent. With no job or romantic prospects, she finds a letter written to Santa from a little girl that changes her outlook and priorities. A tabloid reporter looking for a story accidentally ends up at a famous political family's mountain retreat in a big mix-up -- wearing a wedding dress and mistaken to be the girlfriend of one of the sons. After spending time with the family and growing closer to her fake "boyfriend" - she has to decide if she exposes the famous family in order to save her job or risk loosing everything for love. When a successful New Yorker publicist loses both her job and boyfriend all in one night at her office Christmas party, she winds up taking a job and moving to remote Montana. Totally out of her element in Montana, she finds there is more to Montana than she first expected. In order for commitment-phobe Rob to fulfill his dying grandmother's wish to see him happy and in love, he finds Julie, a single New Yorker with a meddling Jewish mom. The two strike a deal to pretend to be each others "boyfriend/girlfriend" to satisfy their families; however, things get complicated, and they soon discover that their fake feelings may be a little too real. Jack is an executive in a financial brokerage firm trying to impress the president who happens to be the father of the girl he is dating. Trying to create the perfect proposal for his girlfriend, Jack signs up for dance lessons; however, sparks start to fly between Jack and his dance instructor, Christine, leaving Jack with some difficult decisions. Have you ever wanted to say what you truly feel? Well, Santa grants Sara this wish one Christmas - and her life and job prospects are all impacted - with when Sara has the courage to say what’s on her mind. 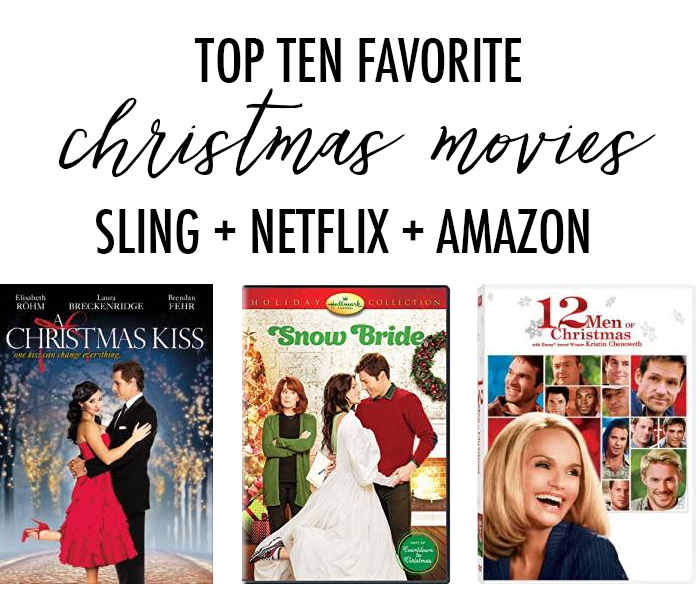 Jackie, an Assistant District Attorney and single mom, is looking forward to spending Christmas with her adorable and funny eight-year old daughter, as well as her successful boyfriend; but Jackie’s estranged dad unexpectedly shows up at her door, and a new man - which turns her scheduled and planned out life upside down. A romantic comedy about two women on opposite sides of the globe - California and London - who swap houses only to discover that a change of address can really change their lives. These plum-colored jeans (that also come in other colors) are $8! I cannot believe these wine colored suede booties are on sale for under $60. These OTK boots (that are very similar to the SW ones) are a great price. This sweater is on sale for $8. I love this new lace top. This striped tee is 33% off. This chunky ribbed v-neck sweater comes in 5 colors and is 33% off. I want to buy these booties that are 40% off. This cozy sweater that is under $50. One of my favorite sweaters I bought this year. This $35 plaid puffer vest. A classic cable knit sweater - that is really on sale! One of my favorite light-weight sweaters. Yesterday I shared some items that you can still get with $10 rush shipping today.